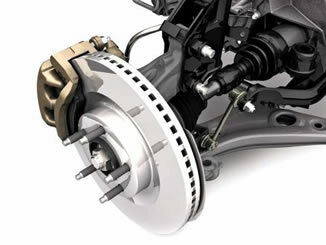 How to preventive maintenance vehicle brakes? To have a good performance parts we recommend check them every 5000 Km, review the status of disks, drums, brake hoses; determine brake fluid leaks, and also check that there are parts with shock or dents. When the vehicle is in motion, do not brake suddenly. If crossing a slope too long, we recommend using the engine compression brakes to prevent overheating. During the winter, avoid gaps pass or pass to high speed to avoid excessive sparking water. This is recommended because being in heat up disks and slowing going through water cooled abruptly, causing its deformation. If the vehicle has traveled streets with a lot of mud, tires and wheels should not be washed immediately to avoid premature wear of brakes. In reviewing the brakes make sure not to cause bumps on the brake discs as they are delicate parts can be damaged resulting in inefficient braking.